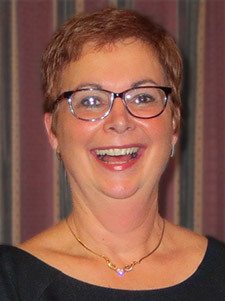 (10/09/2015) -Karen Heist, a Spanish teacher at Woodside High School, has received the 2015 David Cox Award for Excellence in Foreign Language Teaching from the Foreign Language Association of Virginia, the highest state award for foreign language teachers. 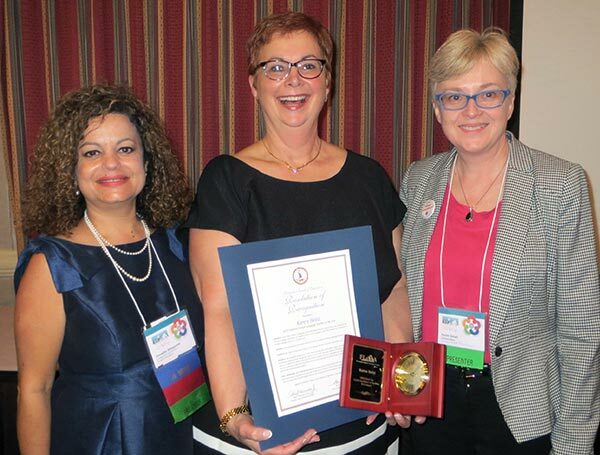 Heist received the award at the association's annual conference held in Williamsburg in late September. In selecting Heist for the award, the selection committee noted her professionalism and dedication to teaching. She has taught Spanish for 25 years, including 19 years in Newport News. Heist also serves as the lead teacher for the World Language department at Woodside High School, and she is a National Board Certified teacher, considered the highest honor in teaching credentials. Heist sets high academic standards for her students while building positive relationships with them. As the leader of the school division's Spanish curriculum writing team, she guided the group of teachers through the process of developing thematic units, essential questions, and exams and performance assessments. The citywide successful implementation of the new Spanish curriculum is credited to her leadership. In 2013, Heist was selected as one of 10 educators to participate in a Fulbright Uruguay Educator Exchange Program, a mutual exchange opportunity for U.S. and Uruguayan teachers. Heist and her Uruguayan counterpart spent two weeks in each other's country, learning more about educational practices and culture. Heist and her exchange partner received a grant and co-wrote a bilingual children's book about their experience. As the state's top foreign language teacher, Heist is in contention to be named the 2016 World Language Teacher of the Year for the southeast region of the U.S. The Excellence in Foreign Language Teaching Award is named in memory of David Cox, an educator and state foreign language supervisor, who played a pivotal role in the implementation and management of the state's pioneering Governor's Foreign Language Academies.